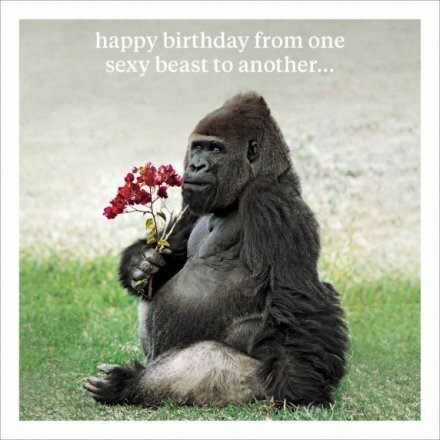 A fine quality photographic greeting card from Icon, including an animal print and humorous quotation. An animal quotation greeting card from Icon's Curious World range. All Curious World greeting cards come with a Mist coloured envelope and are individually cello-wrapped. Curious World greeting cards are printed on a superior uncoated board and are blank inside.